Add a bit of dainty beauty to your kitchen with the help of the Ellis Curtain Tailored Cafe Curtains. 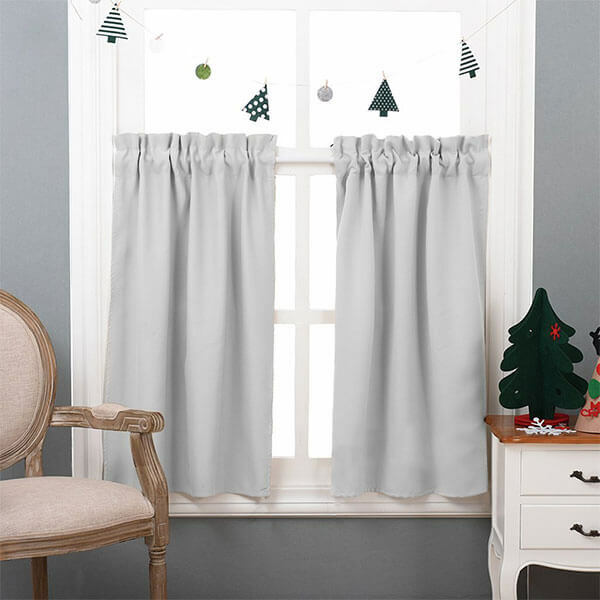 These curtains are made from a durable blend of 70 percent polyester and 30 percent cotton, making them sturdy and easy to clean. They allow in a bit of light while still providing you with privacy. With the NICETOWN Half Window Room Darkening Curtains, you can allow in just the right amount of light without allowing too much of it inside to damage your furniture or art. 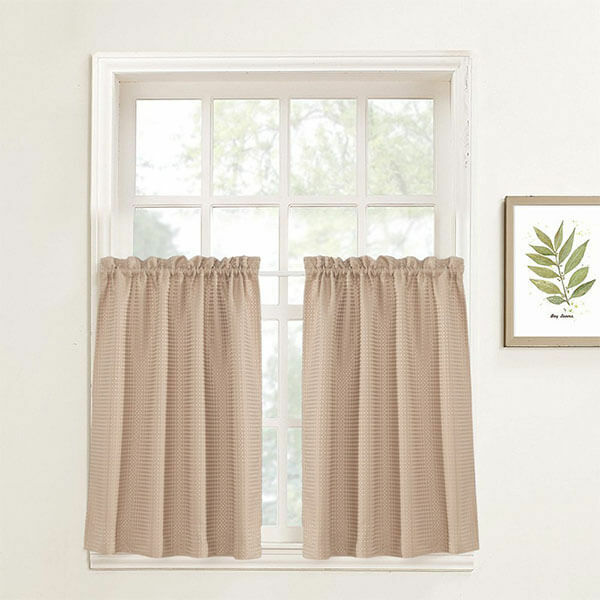 These polyester curtains measure 29 inches in width by 36 inches in length and are easy to attach to the rods. 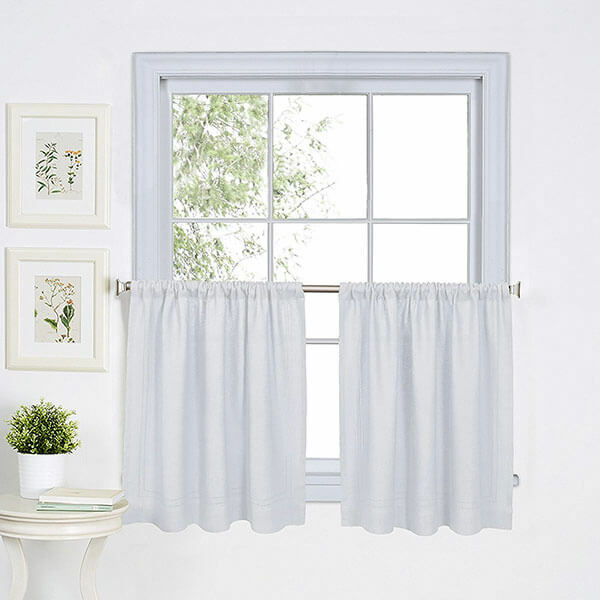 The Elrene Home Fashions Cafe Window Curtains are white, wrinkle-free cafe curtains that are simple to hang and even simpler to clean in the washing machine. They filter in the perfect amount of light while still giving you privacy. There is a rod pocket insert that can hold up to a 1.5-inch rod. The NICETOWN Blackout Window Valance is a polyester blackout curtain that will keep out as much sunlight and noise as you would like. 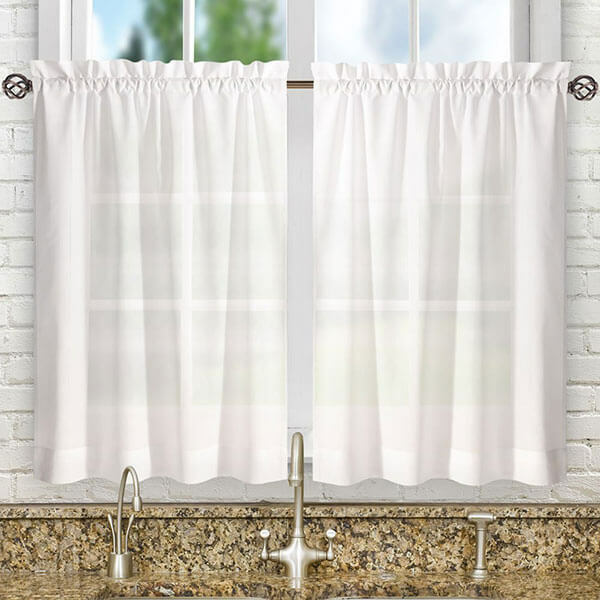 Measuring 52 inches in width by 36 inches in length, these cafe curtains are able to be washed in a machine to allow for simple maintenance. 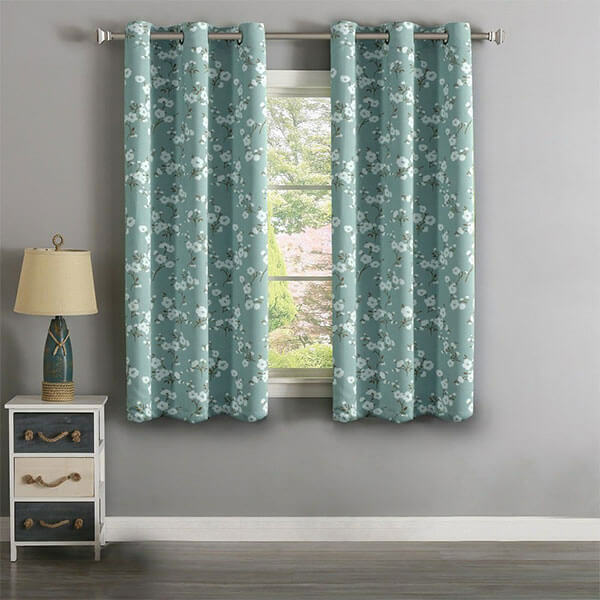 Keep your room cool in the summer, warm in the winter and cute all-year round with the H. Versailtex Thermal Insulated Ultra Soft Rustic Kitchen Curtains. 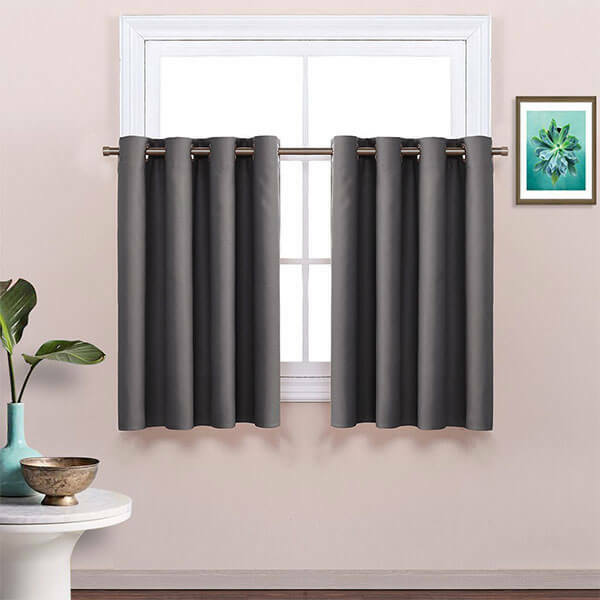 These curtains are made from 100 percent polyester and help to not only lock out light but also to regulate the temperature inside of the home as well. The jinchan Waffle Woven Cafe Curtains are classic cafe curtains that will look great in any rustic or coastal home. These curtains feature a waffle weave textured plaid fabric that offers a bit of detail to the space. They are water repellant and easy to install with their 1.5-inch high rod pocket.